From spearheading domestic and international partnerships to organizing international forums, Kyle Cetrulo brings 15 years experience in the stem cell industry to the chief executive office of Auxocell. Since raising initial investment, acquiring licenses to dominant patent rights in the cord tissue banking field and founding Auxocell in 2008, Mr. Cetrulo has negotiated multiple licensing deals with leading cord blood banks domestically and in Portugal, Greece and Brazil, achieving profitability with Auxocell in 3 years. From 2000 to 2008, Mr. Cetrulo worked with both domestic and international public and private cord banks. As Director of the International Cord Blood Society from 1998 to 2005, Mr. Cetrulo organized the 5th and 6th International Congresses in 2002 and 2004 that represented 23 countries. Editor of two editions of Perinatal Stem Cells (Wiley Press, 2010 and 2013) and 2006 guest editor of the Stem Cell Reviews journal, in 2013 Mr. Cetrulo formed the nonprofit International Perinatal Stem Cell Society, Inc., which held the first international forum of the society in May 2014. Mr. Cetrulo graduated from the University of San Francisco in 1998 with a B.A. in Communications. 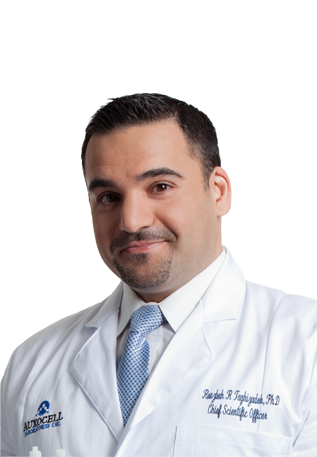 Dr. Rouzbeh R. Taghizadeh has dedicated more than 15 years to bringing stem cell-based therapies to clinical practice. His expertise in adult stem cells, primarily human hematopoietic and mesenchymal stem cells—the regenerative cells involved in successful bone marrow and umbilical cord blood transplantations—uniquely positions him to approach science and business with the same keen powers of insight that have consistently reaped success surmounting scientific and medical barriers in the field. 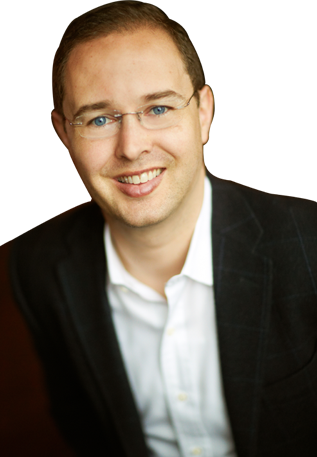 He earned his Ph.D. in Stem Cell Bioengineering in 2006 from the Massachusetts Institute of Technology (MIT) and cofounded AuxoCell Laboratories, Inc. as Chief Scientific Officer in 2008 after completing his post-doctoral training from MIT and the Boston Biomedical Research Institute. At MIT, in the laboratory of Dr. James L. Sherley, Dr. Taghizadehfocused on developing novel technologies to preferentially expand human hematopoietic stem cells ex vivo, a long-standing challenge faced by both researchers and clinicians. He separately worked towards the discovery of markers that exclusively identify human hematopoietic stem cells, a monumental feat in the field. Dr. Taghizadeh has contributed to numerous peer-reviewed publications, book chapters, and patents and is an editor of the 2nd edition of Perinatal Stem Cells. Furthermore, Dr. Taghizadeh has presented at various international scientific conferences and industrial forums. Prior to obtaining his doctorate, Dr. Taghizadeh obtained his Bachelor of Science in Chemical Engineering from the University of Massachusetts, Amherst, in 2000.At AuxoCell, Dr. Taghizadeh developed novel methods and technologies in order to establish the collection, processing, and banking of stem cells from the human umbilical cord for eventual utilization in cell based therapies, regenerative medicine, and other clinical applications. Most notably, Dr. Taghizadeh and his team developed the patented AuxoCell Processing System (AC:Px™) in order to allow for standardized, efficient collection of stem cells from solid tissue in a closed, single-use, disposable system. Fusing business savvy with a laser focus on the clinical utility of stem cell-based therapies, Dr. Taghizadehcombines extensive stem cell industry expertise with his executive capacity at AuxoCell to fully integrate solid business with solid science and engineering, in order to bring successful, novel therapies to patients. Curtis L. Cetrulo, M.D. has a profound passion for stem cells and pursues this passion with the same excitement and energy that he has brought with him at every stage of his career. Since 1984 until 2008, Dr. Cetrulo was been a Professor of Obstetrics and Gynecology at Tufts University School of Medicine. He is one of the two founding members of the International Cord Blood Society (ICBS), a non-profit organization founded in 1995 to promote cord blood research and the nonprofit International Perinatal Stem Cell Society, Inc., formed in 2013. Dr. Cetrulo is currently a board member and medical consultant for Auxocell Laboratories, Inc. He completed his Obstetrics/Gynecology residency program at the University of Colorado in Denver, Colorado in 1973. 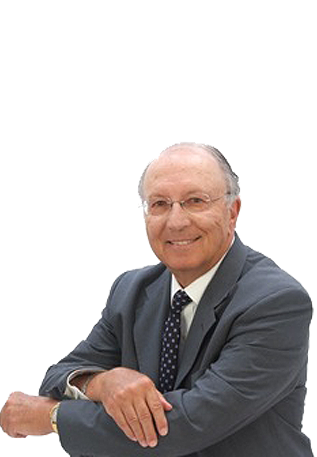 Dr. Cetrulo graduated from the New Jersey College of Medicine in 1969. He did his undergraduate work at Columbia University (1965) where he was the captain of the 1964 NCAA champion Fencing team. Barrett Bready, M.D. has a passion for technologies that will transform healthcare and improve lives. In addition to being an Auxocell co-founder, he is President, CEO, and co-founder of Nabsys, a developer of semiconductor-based tools for single-molecule genomic analysis. He has grown Nabsys from a single employee to over 40 and raised $50 million in venture financing to support the company’s growth. Dr. Bready is an adjunct professor at Brown University where he teaches Biotechnology Management, a course on the business of biotechnology. 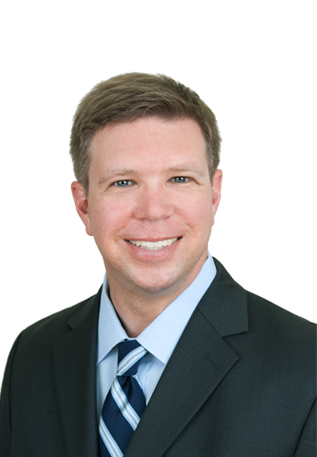 He serves as a commissioner of the I-195 Redevelopment District Commission, a large land redevelopment project in downtown Providence with a focus on life sciences and other high technology sectors. He has received numerous awards including, in 2011, Innovator of the Year. Dr. Bready received his M.D. and his Sc.B. (physics) through Brown University’s Program in Liberal Medical Education (PLME).